Our Scruggs family lineage is unclear because of DNA Y-chromosome test results of several direct male descendents of our Scruggs family lineage. This testing was accomplished in conjunction with the Scruggs DNA Project currently underway with the Scruggs Family Association. When the test results were compared with the results of the other 12 testers of various Scruggs lines it was discovered that our DNA results bear absolutely no kinship to any of them. Our continuing research has lead us to currently surmise that the aforementioned DNA test results are due to a “non-paternity event”. This is one of the risks run when Y DNA testing is used. We believe that somewhere in this Scruggs family line a legal adoption, unannounced adoption, infidelity, or illegitimacy occurred. In short some male in this line did not have a Scruggs as his biological father. We think (not proven) that we are descended through a later Richard Scruggs of New Kent County, and his son John Scruggs born there in 1709. We believe that our 6th great-grandmother Susanna Carter, daughter of Theodrick Carter and Elizabeth Webb (not proven) of Henrico County, Virginia, married this John Scruggs circa 1736. Subsequent to this marriage John and Susanna Scruggs removed west and eventually settled along the south fork of the Rockfish River. An area that was at the time encompassed by the counties of Goochland, Albemarle, Amherst, and now Nelson. Information about this John Scruggs is scant at best. If indeed he is the John Scruggs of New Kent County we do not know when or where he died. We think that Susanna and John did have a son John Carter Scruggs who witnessed Susanna’s 1798 will in which she named Samuel Scott Scruggs as her grandson and Executor. Regarding the aforementioned “non-paternity even” we surmise that it occurred at this juncture of our Scruggs lineage although we have no idea of the particular circumstances by which the event came about. As was previously stated Susanna Carter Scruggs named Samuel Scott Scruggs, (our 4th great-grandfather, as her grandson. Samuel was born, 1757, in that part of Albemarle County that is located in present day Nelson County, Virginia. Samuel is recognized as a patriot of the American Revolution having served in the 10th Virginia Regiment of the Continental Line. Records show that he spent the winter of 1777-78 at Valley Forge, as a Private in General Washington’s Continental Army. He also fought in the Battle of Monmouth and spent a second and more severe winter with Washington at Morristown, New Jersey. After returning from the war he married Jane Childress sometime around 1782. To this union seven known offspring were produced between 1783 and 1808. Samuel settled, with his wife Jane, on a farm at the juncture of the Rockfish River and Dutch Creek in Nelson County, Virginia and remained there until he died. Our Scruggs lineage continues through their son Joseph C. Scruggs born in 1794. Joseph married Miss Francis Parks Sheperd, daughter of Anthony Sheperd and Mary Eades, of Albemarle County, Virginia. As Francis “Fanny” was the only child of a wealthy planter she inherited much land in that part of Albemarle county that now lies in Fluvanna County. As such Joseph lived most of his adult life in the Cunningham Township area of Fluvanna County. Between 1826 and 1852 Joseph and Frances produced nine sons and five daughters. During the War Between the States seven of Joseph's sons served in the Army of Northern Virginia, and stood by their flag until it was furled at Appomattox, Virginia. One of those nine sons is our 2nd great-grandfather Albea Edgar Scruggs. Albea served in the 5th Virginia Calvary of the Confederate Army during the War Between the States. Soon after the war Albea left Virginia and eventually settled in Tulare County California. There he married Julia Rhodes Turner in 1875. Albea fathered a total of nine children (7 boys and 2 girls). The next year, 1876, he purchased his ranch located about 6 1/2 miles west of Porterville, California, from a railroad company and began to make improvements; while at the same time followed grain farming as well as the raising of stock. John Eldridge Scruggs, the second child of Albea and Julia Scruggs was born in 1878. He married Minnie V. McVicker also of Tulare County, in 1897. Between 1899 and 1910 five children were born. John went by the nickname of "Al", and made his living as a rancher. After Minnie’s death in 1920 he married Edith L. Tipton. John died in 1945 and is buried at the “Old Porterville Cemetery”. Our Scruggs lineage ends with our grandmother Ella Pearl Scruggs born to John and Minnie Scruggs in 1901. She attended elementary school in the small community of Poplar and high school in Porterville, where she graduated in June, 1920. Pearl married high school sweetheart Jerre’ Floyd Moreland. Pearl passed away in 1957 and is buried at Burlington, New Jersey. listing of individuals with this surname may be reviewed by clicking on this LINK. Samuel Scott Scruggs Sr.-1. He was born on 28 Mar 1757 in Albemarle County, Virginia. He died 1830 in Nelson County, Virginia. Jane Childress. She was born Abt. 1760 in Albemarle County, Virginia. She died on 24 Oct 1842 in Nelson County, Virginia. Samuel Scott Scruggs Sr. and Jane Childress. They were married Bet. 1781–1783 in Albemarle County, Virginia. They had 7 children. 2. i. John Scruggs. He was born Abt. 1783 in Amherst County, Virginia. He married Sally (Sarah) Jopling. They were married on 24 Dec 1806 in Amherst County, Virginia. He died Abt. 1823 in Nelson County, Virginia. 3. ii. Samuel Scott Scruggs Jr.. He was born Abt. 1788 in Amherst County, Virginia. He married Ann L. Bailey. They were married on 06 Jun 1812 in Nelson Co., Virginia. He died Abt. 1831 in Nelson Co., Virginia. William Scruggs. He was born Abt. 1791 in Amherst County, Virginia. He died Abt. 1842 in Virginia. 4. iv. Joseph C. Scruggs. He was born on 14 Aug 1794 in Amherst County, Virginia. He married Francis Parks Sheperd. They were married on 16 Dec 1824 in Fluvanna County, Virginia. Census 1860 in Palmyra P.O., Fluvanna Co., Virginia. Census 1870 in Cunningham Twp., Fluvanna Co., Virginia. He died on 29 Jan 1879 in Palmyra, Fluvanna Co., Virginia. 5. v. Nancy C. Scruggs. She was born Abt. 1795 in Amherst County, Virginia. She married M. D. Bailey. They were married on 25 Jan 1813 in Nelson County, Virginia. She died Abt. 1847 in Virginia. 6. vi. Theophilus C. Scruggs. He was born on 14 Aug 1798 in Amherst County, Virginia. He married Sarah T. Bailey. They were married on 15 Feb 1821 in Nelson County, Virginia. He died on 20 Nov 1867 in Bedford Co., Virginia. Mary Scruggs. She was born Abt. 1808 in Nelson County, Virginia. Joseph C. Scruggs-2 (Samuel Scott Scruggs Sr.-1). He was born on 14 Aug 1794 in Amherst County, Virginia. He died on 29 Jan 1879 in Palmyra, Fluvanna Co., Virginia. Burial in Fluvanna County, Virginia. Francis Parks Sheperd is the daughter of Anthony Sheperd and Mary Eades. She was born on May 1809 in Albemarle County, Virginia. She died on 12 Nov 1872 in Fluvanna County, Virginia. Burial in (Family Cemetery), Palmyra, Fluvanna Co., Virginia. Joseph C. Scruggs and Francis Parks Sheperd. They were married on 16 Dec 1824 in Fluvanna County, Virginia. They had 15 children. 1889 in Fluvanna County, Virginia. ii. Joseph Anthony Scruggs. He was born on 21 Sep 1828 in Fluvanna County, Virginia. He died on 23 Oct 1897 in Fluvanna County, Virginia. iii. Calvin Scott Scruggs. He was born on 08 Dec 1830 in Fluvanna County, Virginia. He died on 02 Jan 1863 in Fredericksburg, Spotsylvania Co., Virginia. iv. James Egington Scruggs. He was born on 28 Jan 1833 in Fluvanna County, Virginia. He married Virginia "Jennie" Haden. They were married on 03 Nov 1881 in Virginia. Burial Mar 1901 in (Cunningham Methodist Cemetery), Fluvanna Co., Virginia. He died on 10 Mar 1901 in Fluvanna County, Virginia. v. Samuel Monroe Scruggs. He was born on 25 Oct 1835 in Fluvanna County, Virginia. He married Susan Wood Oaks. They were married on 21 Apr 1864 in Charlottesville, Albemarle Co. Virginia. He died on 31 May 1913 in Charlottesville, Albemarle Co., Virginia. Burial on 01 Jun 1913 in (Oakwood Cemetery), Charlottesville, Albemarle Co., Virginia. vi. William Perkins Scruggs. He was born on 10 Sep 1837 in Fluvanna County, Virginia. He died on 21 Mar 1904 in Fluvanna County, Virginia. vii. George H. Scruggs. He was born on 04 Jan 1839 in Fluvanna County, Virginia. He died on 05 Jan 1839 in Fluvanna County, Virginia. viii. Nelson Eldridge Scruggs. He was born on 01 Jul 1840 in Fluvanna County, Virginia. He died on 15 Sep 1860 in Fluvanna County, Virginia. ix. Abram Eades Theophilus Scruggs. He was born on 01 Jan 1842 in Fluvanna County, Virginia. He married Eugenia Taylor Wood. They were married on 22 May 1872 in Louisa, Louisa Co., Virginia. Burial Sep 1916 in (Woodland Cemetery), Ashland, Hanover Co., Virginia. He died on 24 Sep 1916 in Crozet, Albemarle Co., Virginia. x. Francis Mildred Scruggs. She was born on 19 Mar 1844 in Fluvanna County, Virginia. She married William Dyer Wheeler. They were married on 09 Oct 1866 in Fluvanna County, Virginia. Burial Aug 1927 in (Oakwood Cemetery), Charlottesville, Albemarle Co., Virginia. She died on 10 Aug 1927 in Charlottesville, Albemarle Co., Virginia. xi. Albea Edgar Scruggs. He was born on 04 Feb 1845 in Fluvanna County, Virginia. He was born on 04 Feb 1846 in Palmyra Twp., Fluvanna Co., Virginia. He married Julia Rhodes. They were married on 21 Oct 1875 in Tulare County, California. He died on 23 Dec 1906 in Poplar, Tulare Co., California. Burial on 27 Dec 1906 in (Old Porterville Cemetery), Porterville, Tulare Co., California. Martha Judson Scruggs. She was born on 24 Feb 1847 in Fluvanna County, Virginia. Census 1850 in Fluvanna County, Virginia. She died Bef. Apr 1915 in Charlottesville, Albemarle Co., Virginia. Burial in Oakwood Cemetery, Charlottesville, VA..
xii. Elvia E. Scruggs. She was born Dec 1849 in Fluvanna County, Virginia. She died Aft. 19 Aug 1850 in Fluvanna County, Virginia. Antioch Baptist Cemetery, Fluvanna Co., VA. She died on 05 Dec 1928 in Fluvanna County, Virginia. xv. Stevannah Erice Scruggs. She was born on 10 May 1852 in Fluvanna County, Virginia. She married John Pinckney Morrow. They were married on 24 Mar 1874 in Fluvanna County, Virginia. She died on 23 Mar 1901 in Coronaca, Greenwood Co., South Carolina. Albea Edgar Scruggs-3 (Joseph C. Scruggs-2, Samuel Scott Scruggs Sr.-1). He was born on 04 Feb 1846 in Palmyra Twp., Fluvanna Co., Virginia. He died on 23 Dec 1906 in Poplar, Tulare Co., California. Burial on 27 Dec 1906 in (Old Porterville Cemetery), Porterville, Tulare Co., California. Julia Rhodes is the daughter of William Calvin Rhodes and Sarah Rebecca Douglass. She was born on 04 Feb 1855 in Rusk County, Texas. She died on 10 Oct 1922 in Porterville, Tulare Co., California. Burial on 11 Oct 1922 in (Old Porterville Cemetery), Porterville, Tulare Co., California. Albea Edgar Scruggs and Julia Rhodes. They were married on 21 Oct 1875 in Tulare County, California. They had 9 children. i. William Joseph Scruggs. He was born on 06 Oct 1876 in Tulare County, California. He died on 27 Dec 1946 in Norwalk, Los Angeles Co., California. Burial on 30 Dec 1946 in (Old Porterville Cemetery), Porterville, Tulare Co., California. 20. ii. John Eldridge Scruggs. He was born on 03 Feb 1878 in Poplar, Tulare Co., California. He died on 07 Feb 1945 in Tulare County, California. Burial on 09 Feb 1945 in (Old Porterville Cemetery), Porterville, Tulare Co., California. iii. Pearle Parks Scruggs. She was born on 26 Nov 1879 in Poplar, Tulare Co., California. She died on 09 Apr 1900 in Porterville, Tulare Co. California. Burial on 09 Apr 1900 in (Porterville Cemetery), Porterville, Tulare Co., California. 21. iv. Hugh Edgar Scruggs. He was born on 29 Jan 1881 in Poplar, Tulare Co., California. He married Margaretta Frechette. They were married on 05 Nov 1914 in Redlands, San Bernardino Co., California. He died on 25 Dec 1962 in Modesto, Stanilaus Co., California. Burial on 28 Dec 1962 in (Porterville Cemetery), Porterville, Tulare Co., California. 22. v. Clarence Henry Scruggs. He was born on 12 May 1882 in Porterville, Tulare Co., California. He married Dozier "Daizie" C. Hodgdon. They were married on 02 Mar 1907 in Napa, Napa Co., California. Burial May 1947 in (Gridley-Biggs Cemetery), Gridley, Butte Co., California. He died on 07 May 1947 in Gridley, Butte Co., California. vi. Louella Faith Scruggs. She was born on 04 Jan 1884 in Poplar, Tulare Co., California. She married Elmus Fisher Parsons. They were married on 13 Jul 1915 in Tulare County, California. She died on 08 Sep 1963 in Auburn, Placer Co., California. Burial on 11 Sep 1963 in (Porterville Cemetery), Porterville, Tulare Co., California. vii. Edward Clifford Scruggs. He was born on 06 Feb 1887 in Tulare County, California. Burial 1913 in (Porterville Cemetery), Porterville, Tulare Co., California. He died on 05 Sep 1913 in Porterville, Tulare Co., California. 23. viii. Samuel Roy Scruggs. He was born on 24 May 1891 in Porterville, Tulare Co., California. He married Maude Mae McMahan. They were married on 14 Jun 1926 in Riverside, Riverside Co., California. He died on 26 May 1969 in Walnut Creek, Contra Costa Co., California. Burial on 28 May 1969 in (Home of Peace Cemetery), Porterville, Tulare Co., California. ix. Daniel Ray Scruggs. He was born on 24 May 1891 in Poplar, Tulare Co., California. Burial 1914 in (Porterville Cemetery), Porterville, Tulare Co., California. He died on 14 Nov 1914 in Porterville, Tulare Co., California. John Eldridge Scruggs-4 (Albea Edgar Scruggs-3, Joseph C. Scruggs-2, Samuel Scott Scruggs Sr.-1). He was born on 03 Feb 1878 in Poplar, Tulare Co., California. He died on 07 Feb 1945 in Tulare County, California. Burial on 09 Feb 1945 in (Old Porterville Cemetery), Porterville, Tulare Co., California. Minnie V. McVicker is the daughter of John Robert McVicker and Mary Ella Johnson. She was born on 21 Apr 1878 in Union Twp., Sedgwick Co., Kansas. Burial Feb 1920 in (Old Porterville Cemetery), Porterville, Tulare Co., California. She died on 03 Feb 1920 in Porterville, Tulare Co., California. John Eldridge Scruggs and Minnie V. McVicker. They were married on 22 Sep 1897 in Tulare County, California. They had 5 children. i. John Eldridge Scruggs Jr.. He was born on 17 Oct 1899 in Tulare County, California. He died Mar 1900 in Tulare County, California. Burial on 14 Mar 1900 in Porterville Cemetery (Plot D-198-1). 25. ii. Ella Pearl Scruggs. She was born on 12 Dec 1901 in Poplar, Tulare Co., California. She married Jerre' Floyd Moreland. They were married on 17 Feb 1923 in <Methodist Center, University of Southern California, Los Angeles, CA>. She died on 24 Oct 1957 in Burlington County, New Jersey. Burial on 28 Oct 1957 in (Odd Fellows Cemetery), Burlington, Burlington Co., New Jersey. 26. iii. Harry Clayton Scruggs. He was born on 08 Nov 1903 in Tulare County, California. He married Audrey Gross. They were married on 16 Apr 1928 in California, USA. He died on 10 Apr 1982 in Tulare County, California. Burial on 13 Apr 1982 in Hillcrest Cemetery, Porterville, CA (Plot D-306-4). iv. Julia Oaks Scruggs. She was born 1906 in Woodville, Tulare Co., California. Census 1910 in Plano Twp., Tulare Co., California. Census 1920 in Porterville, Tulare Co., California. Burial Sep 1929 in Porterville Cemetery (Plot D-198-4). She died on 18 Sep 1929 in California, USA. 27. v. Doris Scruggs. She was born on 29 Sep 1910 in Porterville, Tulare Co., California. She married Edward Everett McNutt. They were married on 19 Jun 1926 in Tulare Co. California. She died on 09 Jul 1988 in Bakersfield, Kern Co., California. Burial on 13 Jul 1988 in (Porterville Cemetery) Porterville, Tulare Co., California. Edith L. Tipton. She was born on 13 Sep 1892 in Illinois. She died on 22 Aug 1959 in Auberry, Fresno Co., California. Burial on 26 Aug 1959 in Porterville, Cemetery (Plot D-198-3). Ella Pearl Scruggs-5 (John Eldridge Scruggs-4, Albea Edgar Scruggs-3, Joseph C. Scruggs-2, Samuel Scott Scruggs Sr.-1). She was born on 12 Dec 1901 in Poplar, Tulare Co., California. She died on 24 Oct 1957 in Burlington County, New Jersey. Burial on 28 Oct 1957 in (Odd Fellows Cemetery), Burlington, Burlington Co., New Jersey. Jerre' Floyd Moreland is the son of Jeremiah E. Moreland and Mary Etta Pinnell. He was born on 25 Jun 1899 in Woodward County, Oklahoma. He died on 30 May 1971 in Hightstown, Mercer Co., New Jersey. Burial Jun 1971 in (Cedar Hills Cemetery), Hightstown, Mercer Co., New Jersey. Jerre' Floyd Moreland and Ella Pearl Scruggs. They were married on 17 Feb 1923 in <Methodist Center, University of Southern California, Los Angeles, CA>. They had 3 children. i. June Eleanor Moreland. She was born on 25 Jun 1923 in Boulder, Boulder Co., Colorado. Census 1930 in Milliken, Weld Co., Colorado. She married Frederick George Siler. They were married on 05 Jul 1945 in Florence, Burlington Co., New Jersey. She married Thomas Q. Peiffer 19 June 1954 in Collingswood, Camden Co., New Jersey. She died on 04 Sep 2001 in Colorado Springs, El Paso Co., Colorado. Burial on 11 Sep 2001 in Sunset Memorial Gardens, Greeley, Weld Co., Colorado. including billions of names, dates and places worldwide. Mocavo.com seeks to index and make searchable all of the world’s free genealogy information. Use this free genealogy site to help you get the best genealogy searches from Google™ by using your family tree, for your research. It will create a series of different searches using tips or "tricks"
that will likely improve your results. The different searches will give you many different ways of using Google and the Internet to find ancestry information about this or any other Surname. The practice of inherited family surnames began in England and France during the late part of the 11th century. With the passing of generations and the movement of families from place to place many of the original identifying names were altered into some of the versions that we are familiar with today. Over the centuries, most of our European ancestors accepted their surname as an unchangeable part of their lives. Thus people rarely changed their surname. Variations of most surnames were usually the result of an involuntary act such as when a government official wrote a name phonetically or made an error in transcription. Research into the record of this Scruggs family line indicates that the variations, meanings and history of this surname is most likely linked to that area of Europe where English, and Scottish linguistic traditions are commonly found. Most modern family names are a means conveying lineage. For the most part, Anglo-Saxon surnames were developed from the following major sources: (1) patronym or matronym, names based on the name of one's father, mother or ancestor, (Johnson, Wilson); (2) occupation (i.e., Carpenter, Cooper, Brewer, Mason); (3) habitational or locational (Middleton, Sidney, or Ireland); (4) topographical (i.e. Hill, Brook, Forrest, Dale); (5) descriptive nickname (i.e., Moody Freeholder, Wise, Armstrong); (6) status (i.e. Freeman, Bond, Knight); and (7) acquired ornamental names that were simply made up. The Scruggs family surname is probably an altered form of the Scroggs surname. This unusual and interesting surname has three possible sources. First, Scroggs is a topographic name from Old English pre 7th Century word "stocc", meaning stump of a tree, and the Middle English, Scottish and northern English dialect term, scrog, or scrogge used to describe 'stunted growth' of foliage. The expanded meaning also includes, ‘stunted shrub’, ‘brushwood’ or ‘stumpy land’ in the sense of recently cleared land or the location of a dwelling near such land. Secondly, the surname may be of early medieval English origin, and would have been a nickname for a thin, bony person, from the Middle English "scrag", thin or scrawny. A third possible source of this surname is that it is of Scottish locational origin, from the lands of Scrogges in the Barony of Stobo, Peeblesshire. During the Middle Ages, when migration for the purpose of job-seeking was becoming more common, people often took their former village name as a means of identification, thus resulting in a wide dispersal of the name. Surnames as we know them today were first assumed in Europe from the 11th to the 15th century. They were not in use in England or Scotland, before the Norman Conquest of 1066, and were first found in the Domesday Book of 1086. The employment in the use of a second name was a custom that was first introduced from the Normans who had adopted the custom just prior to this time. Soon thereafter it became a mark of a generally higher socio-economic status and thus seen as disgraceful for a well-bred man to have only one name. It was not until the middle of the 14th century that surnames became general practice among all people in the British Isles. First found in Peebleshire in the lands of Stobo where they were seated at Scrogges from the 12th century. The first recorded spelling of the Scroggs/Scruggs family name is shown to be that of Robert de Scrogges, which was dated 1208, in the "Records of Peeblesshire", Scotland. Apparently this Robert de (of) Scrogged lost his life in the service of David de Line. Thus De Line granted Simon de Scoggs, Robert’s son, the lands of Scogges in 1208. Other early mentions of the Adam Skogges, burgess of Hagingdon, rendered homage to the English crown in 1296 and William del (of the) Skoggs of Peebleshire rendered homage at the same time. In 1398 David de Scrogis was elected common councillor of Aberdeen and in the following year he granted a charter in favour of the Carmelites. John de Scrogis was a charter witness in Aberdeen in 1436. Alexander Scrogges was master the the ship Nicholas of Aberdeen in 1439. Recordings of the surname from various Church Registers include: the christening of Danyell Scragg on November 22nd 1558, at St. Botolph's without Aldgate, London; the marriage of Alexander Scrag and Jean Black on April 4th 1656, at Old Machar, Aberdeen, Aberdeenshire; and the christening of An, daughter of Thomas and Frances Scragg, on December 11th 1687, at Allhallows the Great, London. A notable member of the name was Sir William Scroggs (1623-83) the English judge, born in Deddington, Oxfordshire. He was Chief Justice of the King's Bench from 1678 and notorious for his cruelty. In 1680 he was impeached, but removed from office by the king on a pension. Some other notable bearers of the Scruggs name are: Earl Scruggs - (born January 6, 1924) is an American musician noted for perfecting and popularizing a 3-finger banjo-picking style; Richard Scruggs - (born May 17, 1946) is an American former A6A naval aviator , and a prominent trial lawyer; Randy Scruggs (born August 3, 1953 in Nashville, Tennessee ) is a music producer, songwriter and guitarist; Jan Scruggs - is best known for being the founder of the Vietnam Veterans Memorial; Irene Scruggs - Irene Scruggs (December 7, 1901 – unknown, but probably July 20 1981 ) was an American Piedmont blues and country blues singer; William Lindsay Scruggs - (1836 - 1912) was an American author, lawyer, and diplomat. He was a scholar of South American foreign policy; Elaine Scruggs - (Non-Partisan), mayor of Glendale , Arizona , relocated from Pasadena , California with her husband Larry in 1971; Joseph Scruggs - was a provincial politician from Alberta , Canada . He served as a member of the Legislative Assembly of Alberta; Rick Scruggs - is currently an assistant men's basketball coach at Appalachian State University; Uncle John Scruggs - was an American banjo player, born a slave; Joe E. Scruggs - was the second head football coach for the Tennessee State University Tigers located in Nashville, Tennessee. 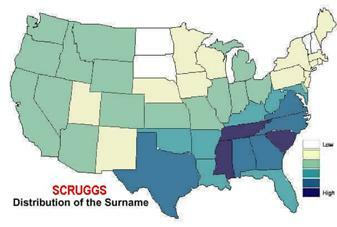 The great majority of persons having the Scruggs surname emigrated to America from the United Kingdom. Today about 60 persons per million in the United States have this surname. The heaviest concentration of the name is found in the states of South Carolina, Mississippi and Tennessee. In the United Kingdom where the Scroggs spelling is prominent almost about 3 persons per million have this surname. The most significant clustering of the name is found in the various counties of southeastern England. Although the Domesday Book compiled by William the Conqueror required surnames, the use of them in the British Isles did not become fixed until the time period between 1250 and 1450. The broad range of ethnic and linguistic roots for British surnames reflects the history of Britain as an oft-invaded land. These roots include, but are not limited to, Old English, Middle English, Old French, Old Norse, Irish, Gaelic, Celtic, Pictish, Welsh, Gaulish, Germanic, Latin, Greek and Hebrew. 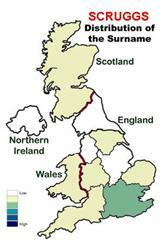 Throughout the British Isles, there are basically five types of native surnames. Some surnames were derived from a man's occupation (Carpenter, Taylor, Brewer, Mason), a practice that was commonplace by the end of the 14th century. Place names reflected a location of residence and were also commonly used (Hill, Brook, Forrest, Dale) as a basis for the surname, for reasons that can be easily understood. Nicknames that stuck also became surnames. About one-third of all surnames in the United Kingdom are patronymic in origin, and identified the first bearer of the name by his father (or grandfather in the case of some Irish names). When the coast of England was invaded by William The Conqueror in the year 1066, the Normans brought with them a store of French personal names, which soon, more or less, entirely replaced the traditional more varied Old English personal names, at least among the upper and middle classes. A century of so later, given names of the principal saints of the Christian church began to be used. It is from these two types of given name that the majority of the English patronymic surnames are derived and used to this day. Acquired ornamental names were simply made up, and had no specific reflection on the first who bore the name. They simply sounded nice, or were made up as a means of identification, generally much later than most surnames were adopted. genealogy helps include names of Irish, German, English, French, Italian, and Jewish descent. Throughout the centuries, surnames in every country have continued to unfold and expand often leading to an overwhelming number of variants. As such one can encounter great variation in the spelling of surnames because in early times, spelling in general and thus the spelling of names was not yet standardized. Later on spellings would change with the branching and movement of families. In Colonial days when America was in its infancy, the spelling of proper names seems to have been for the most part phonetic. The name Scruggs is seen as spelled Scrudg, Scrudge, Scroggs, Scrug, Scrugs, Scrugg as well as Scruggs. In America Scruggs has been the accepted preference, although branches of the family in Carolina, Georgia, Pennsylvania and Maryland use the O. 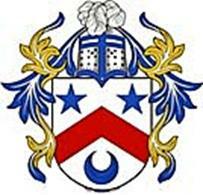 In Fairbairn's book of crests of the families of Great Britain and Ireland he gives authority for two ways of spelling the name, that of Scroggs and Scruggs, either being correct, both coming from the same root and bearing the same family Arms; the O having the sound of U as in the word sun and son. Other spelling variations of this family name include particular Scottish variants of the Scroggs surname such as Scroggie, Scrogie, Scroggy, Skoggie and Skoggey. More modern day spelling variations include: Scroggs, Scrogges, Scrogs, Scroggis, Scroggin, Scroggins and many more. The complexity of researching records is compounded by the fact that in many cases an ancestors surname may also have been misspelled. This is especially true when searching census documents. The Soundex Indexing System was developed in an effort to assist with identifying spelling variations for a given surname. Soundex is a method of indexing names in the 1880, 1900, 1910, and 1920 US Census, and can aid genealogists in their research. In the Middle Ages heraldry came into use as a practical matter. It originated in the devices used to distinguish the armored warriors in tournament and war, and was also placed on seals as marks of identity. As far as records show, true heraldry began in the middle of the 12th century, and appeared almost simultaneously in several countries of Western Europe. In the British Isles the College of Arms, (founded in 1483), is the Royal corporation of heralds who record proved pedigrees and grant armorial bearings. FIGURE 1: These arms have been attributed to an unknown Scruggs. 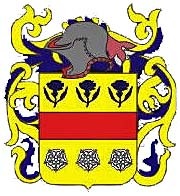 FIGURE 2: These armorial bearing were granted to a Scrugges/Scroggs of Renhold* in Bedfordshire, England. The arms show a white shield containing a blue bend, with three golden Cornish choughs, (a species of Crow with red legs) between two black greyhounds running. The crest features a white bird’s head with a black collar, and wings of gold and black. The same arms with a different crest which is described as white stork’s head with a red collar and wings of black and gold were probably granted to Sir William Scroggs (1623-83) the English judge, born in Deddington, Oxfordshire and passed down to his son also Sir William Scroggs (c.1652-1695) of Hertfordshire, England. FIGURE 3: This interesting coat of arms belongs to a Scrogie of Scotland. The white shield contains a red chevron. There are two red stars in the chief and a blue crescent in the base. A motto is a word or sentence usually written upon a scroll and generally placed below the shield, but sometimes, especially in Scotland, above the crest. Many ancient mottoes were war-cries such as the Douglas motto of “Forward.” Many mottoes refer to the name of the bearer, for example “cole regem” for Coleridge. In general most mottoes convey a sentiment, hope, or determination, such as the Cotter motto “Dum spiro spero” where the meaning is “While I have breath I hope“. Mottoes are often used by several successive generations, but may be changed at any time by the grantee. The languages most in use are Latin, French, and English. Exceptions are seen in Scotland where they are often in the old Lowland dialect, and in Wales, often in the language of the principality. Ero quod eram; I will again be what I was; Tandem fit surculus arbor; a shoot at length becomes a tree. 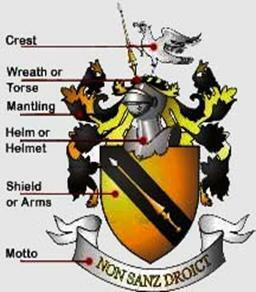 The art of designing, displaying, describing, and recording arms is called heraldry. The use of coats of arms by countries, states, provinces, towns and villages is called civic heraldry. A Coat of Arms is defined as a group of emblems and figures (heraldic bearings) usually arranged on and around a shield and serving as the special insignia of some person, family, or institution. Except for a few cases, there is really no such thing as a standard "coat of arms" for a surname. 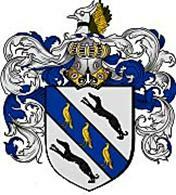 A coat of arms, more properly called an armorial achievement, armorial bearings or often just arms for short, is a design usually granted only to a single person not to an entire family or to a particular surname. Coats of arms are inheritable property, and they generally descend to male lineal descendents of the original arms grantee. The rules and traditions regarding Coats of Arms vary from country to country. Therefore a Coat of Arms for an English family would differ from that of a German family even when the surname is the same. Researching the locations where our ancestors lived has provided us with valuable evidence needed to fill-in the gaps in our family trees. It has also led us to many interesting facts that enhance the overall picture of each family group. The names of states and counties on the following list were derived from the known places where the Direct Ancestors in the “Ancestral Lineage” (see above) were born, married, and / or died. about the locations listed above. Knowing the geographical areas where the surname you are researching is clustered and distributed is an indispensable tool in deciding where to focus your research. We believe that the “Public Profiler” website will open up to you a wide range of solutions which implement current research in spatial analysis. This site provides an array of local spatial information tools useful to the genealogist. The information presented below shows where the SCRUGGS surname is distributed within the United States as well as in the United Kingdom, the country of origin of this family. The United States is found to be the country in the world where this surname is the most highly clustered having almost 60 persons per million of population. get greater detail for any of the following maps by clicking on the area, i.e state, county that you are interested in. that will assist in discovering Ancestral Locations. These web sites comprise only a small portion of what is available for researchers interested in learning more about where their ancestors lived. Tracing our own family’s paths of migration can prove crucial in identifying previous generations and eventually, figuring out where and how they arrived in the “New World” as well as where they eventually settled. Knowing the network of trails American pioneers traveled can help you guess where to start looking. The trail map(s) provided below may assist you in understanding the routes that our direct ancestors of this family may have taken to find new homes and opportunities in the vast area now encompassed by the United States. During the 17th, 18th and 19th centuries hundreds of thousands of Europeans made the perilous ocean voyage to America. For many it was an escape from economic hardship and religious persecution. For most it was an opportunity to start over, own their own land, and make a better future for their descendents. Immigration records show a number of people bearing the name of Scruggs, or one of its variants, as arriving in North America between the 17th and 20th centuries. Most of these immigrants came from the British Isles. Some of these immigrants were: Richard Scruggs, who settled in Virginia in 1655; Thomas Scruggs, who settled in Salem, Mass. in 1630 and William Scruggs, who landed in Salem, Mass in 1654. It is understood that in many if not all cases we do not know exactly what routes our ancestors took as they migrated throughout the United States. As such certain assumptions have been utilized to re-create the migration path presented above. With regard to 18th and 19th century land routes we assume that they travelled along few trails and roads that were in existence at the time. Research shows that a great many of these old paths and trails are today designated as U.S. Highway Routes. For example, a major east-west route of migration known as the National Road is now U.S. Route 40, and a primary north-south migration route of the 18th century followed the Great Indian War and Trading Path is now U.S. Route 11. In some situations the re-created migration route may travel along state routes that connect or run through the seat of a county as that populated place is probably the oldest settlement in the area. The use of water as a migration route is also likely. For example, during the late 18th and early 19th centuries many families travelled west on the Ohio River as they moved on the new lands in Missouri or the Old Northwest Territory. As such when applicable water routes have been included as the possible migration route. We think that our American Scruggs family originated in New Kent County, Virginia. We also think that John Scruggs, born 1709 in that county, married Susanna Carter in the neighboring county of Henrico around 1736. It is most probable that sometime in the 1740’s John and Susanna migrated west up along the James River to land in then Goochland County. A 1741 land record of Goochland County shows John Scruggs of same, son of Richard Scruggs of New Kent county purchasing property on the west side of the Willis River from William Mayo. This is the first, among several, recorded property transactions involving John Scruggs and William Mayo. It is noted that William Mayo was the surveyor of lands in present day Nelson County and property owner along the South Fork of the Rockfish River. It is believed that by the 1750’s John Scruggs had moved on up the James River to its juncture with the Rockfish River and had settled along the Rockfish possibly upon the recommendation of his associate William Mayo. The first white settler in the Rockfish Valley was James Wood who settled far up the Rockfish Valley near Wintergreen around 1737. By 1740 additional pioneers began to arrive and established themselves near Myndus on the Muddy Creek. We know that Susanna (Carter) Scruggs died in Amherst County in 1798, and the Rockfish Valley lay in Amherst County until 1807 when it became a part of Nelson County. We also know that Samuel Scott Scruggs, grandson of John and Susanna, lived at the juncture of the Rockfish River and Dutch Creek until his death in 1831. Joseph C. Scruggs, son of Samuel Scott and Jane (Childress) Scruggs, was born 1794 in Amherst County most likely at the family home at Rockfish. In 1824 he married Francis Parks Shepard. As a result of this union he inherited several large properties from his father-in-law Anthony Shepard. Joseph and Francis removed to nearby Fluvanna County around 1830 and settled a piece of the inherited property located on the Middle Fork of the Cunningham Creek. Joseph would amass over 1,200 acres of land in this locality before he passed away in 1879. Albea Edgar Scruggs, our 2nd great-grandfather, was the 11th of 15 children produced by Joseph and Francis. After the American Civil War the economic prospects in his native state of Virginia were not very good therefore Albea, now 21 years of age decided to seek his fortune elsewhere. He decided to travel to the developing west because he believed that opportunities were more abundant in the newer states. In 1867 he migrated to California, first locating at Crow's Landing in Stanislaus County. Subsequently he made several trips back east but his interests remained in California. It is not known what means of transportation was utilized by Albea to make this giant leap of at least 3,000 miles from the East to the West Coast. If he went by land did he go by train, horseback, stagecoach? 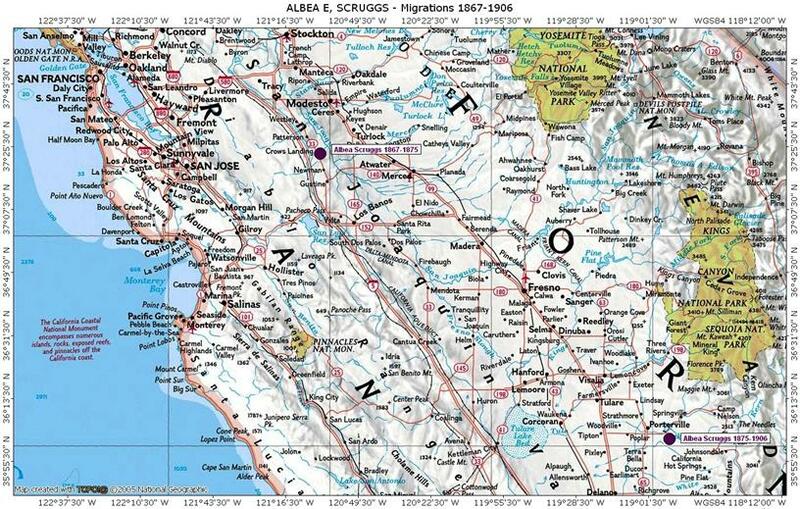 If he made the transition by sea a landing at San Francisco may partially explain the reason why he initially settled in Stanislaus County. In 1875 Albea relocated to Tulare County and began to raise livestock. In that same year he married Julia Rhodes Turner a widow residing in that county. It is interesting to note here that at this time Julia's father, William Rhodes, was well established as a stock-raiser in Tulare County. Could Albea have met his future wife as a result of business transactions with her father? Did Albea make the decision to move from Stanislaus to Tulare County because of his attraction to Julia? The next year, 1876, he purchased his ranch from a railroad company and began to make improvements; while at the same time followed grain farming as well as the raising of stock. Albea lived at this location for the remainder of his life and passed away in 1906. The final chapter of the migrations of our Scruggs ancestors involves Albea’s granddaughter and our grandmother Ella Pearl Scruggs who turned the tide of this family’s western migration around. In 1923 she married Jerre’ Floyd Moreland in California. Soon thereafter the young couple moved east to Boulder County Colorado where Jerre’ finished his college education at the University of Colorado. By 1930 the family was residing at town of Milliken in Weld County, Colorado. Soon thereafter they would move to the town of Greeley in Weld County where Jerre’ pursued his graduate education and was elected the School Superintendent of Weld County. Sometime in early 1936 Ella Pearl and Jerre’ made a decision to make another move away from Greeley. The following recollection by their daughter Eleanor, who was present at the time, the family and their suitcases were loaded into the automobile. Jerre’ had started the motor, Eleanor and her younger sister were sitting in the back seat. Ella Pearl was sitting up front holding their son born only a few months earlier. At this point Jerre’ said, “well Mother, should we drive on down to Brighton* and take the job they’ve offered me? Or should we go east to New York so that I can work on my doctorate at Columbia University?” Eleanor, now 15 years old, then quickly envisioned what an adventure New York City would be. As such she excitedly stated “Oh, we must go to New York.” With that Jerre’ Moreland pushed in the clutch, put the car into gear and headed his family East toward adventure and opportunity. Ella Pearl (Scruggs) Moreland and her family eventually settled in Florence, New Jersey where she passed away in 1957. To zoom , press and the button. To zoom , press and the button. To restore the zoom to 100%, press and the button. The documents contained within this “Source Documents Archives” have been located during our research of this family, and used as evidence to prove many of the facts contained within the database of this family’s record. Use the LINKS below to view our collection. · Abram E.T. Scruggs - Confederate Pension App. · Eldridge C.W. Scruggs - History of Tulare Co.
· Samuel S. Scruggs, Sr. - Rev. War Pension App. You are welcome to download any of the documents contained within this archive that does not cite a copyright. Should you encounter a problem obtaining a copy you may get in touch with us via the contact information found at the end of this web-page. · Our Surname Locator And Resources web page contains the following: (1) links that will take you to an updated listing of all surnames as posted in our three databases at the Rootsweb WorldConnect Project; (2) the Surname List Finder a tool that finds sound-alike matches for a given surname from among RootsWeb's thousands of surname lists; (3) the Soundex Converter that can be used to find the soundex code for a surname, plus other surnames/spellings sharing the same soundex code; (4) Surname Message Boards the world's largest online genealogy community with over 17 Million posts on more than 161,000 boards; (5) Surname Mailing Lists of all surnames having mailing lists at RootsWeb, as well as topics that include (6) Surname Heraldy, and (7) Mapping a Surname. · Your genealogy research of this surname can be facilitated by use of Surname Web. This website links to the majority of the surname data on the web, as well as to individual family trees, origin and surname meaning if known, and many other related genealogy resources. · Surname Finder provides easy access to free and commercial resources for 1,731,359 surnames. On each surname specific "finder" page, you can search a variety of online databases all pre-programmed with your surname. · Use All Surnames Genealogy to get access to find your surname resources . There are almost 1300 links in this directory. · SurnameDB Free database of surname meanings - This site SurnameDB.Com contains a large FREE to access database (almost 50,000 surnames) on the history and meaning of family last names. · Public Profiler / World Names - Search for a Surname to view its Map and Statistics. · Linkpendium Surnames - Web sites, obituaries, biographies, and other material specific to a surname. · Cyndi's List - Surnames, Family Associations & Family Newsletters Index - Sites or resources dedicated to specific, individual family surnames. All of the records and databases we’ve collected are FREE and can be accessed and searched online without having to pay for a subscription. We have divided our collected into 14 record types as follows: Biographical; Birth; Cemetery; Census & City Directories; Church; Court; Death; Immigration & Naturalization; Land; Marriage; Military; Newspapers; Occupational; and Tax Records. We try not to list any sites that have only a few records for the purpose of getting you to a website that will charge a fee to actually see the record beyond just a name. During our research we have collected images and photographs that are of general interest to a particular family. Some of them are presented on this website because we believe they tend to provide the reader with additional information which may aid in the understanding of our ancestors past lives. searching in the box and click “Search Images”. At the “Images” display page you will see the image, as well as the website of which it is associated.